Strawberries are in abundance this time of the year. Nothing beats a big bowl of strawberries smothered with lashings of cream.There are so many recipes that are my favorite that I look forward to making when strawberries are in season such as strawberry tart, strawberry mousse, strawberry ice cream and strawberry lemonade.Below I am sharing my favorite strawberry lemonade recipe. 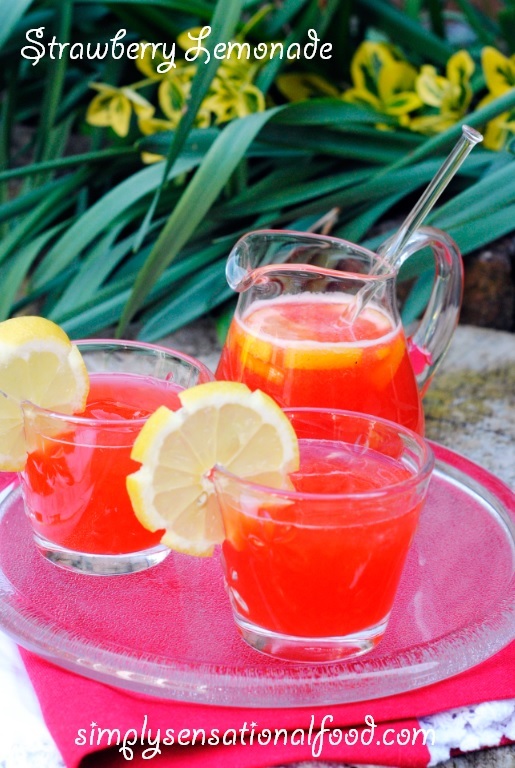 Refreshing and delicious summer strawberries with a lovely citrus tang from lemons makes this lemonade simply delicious . 1. Wash the strawberries and hull them.2. Cut the top and bottom of one lemon and cut it into slices. 3. Peel the second lemon and remove the skin and pith.4.Add all the strawberries and whole peeled lemon into the Optimum 600 and extract the juice, once all the fruit has been juiced add some stevia sugar to sweeten it. 5. Strain the juice into a jug and add the sparkling water, ice cubes and some lemon slices.6. Stir and serve in glasses garnished with lemon slices. That looks so refreshing, and a great colour. Strawberries mean it is summer too, hurrah! This sounds so refreshing! I love that you've used sweetener instead of real sugar too. It never ceases to amaze me just how much of the white stuff goes into lemonade! Thanks for sharing! This sounds lovely and very refreshing. love the colour of the strawberry lemonade.. so refreshing. Such a refreshing drink for summer. The clicks are awesome .. loving them. Oh what a good idea - now for some sunshine please! We have a juicer so will try this. I've planted strawberries at our allotment so hopefully we should have some homegrown ones this summer. 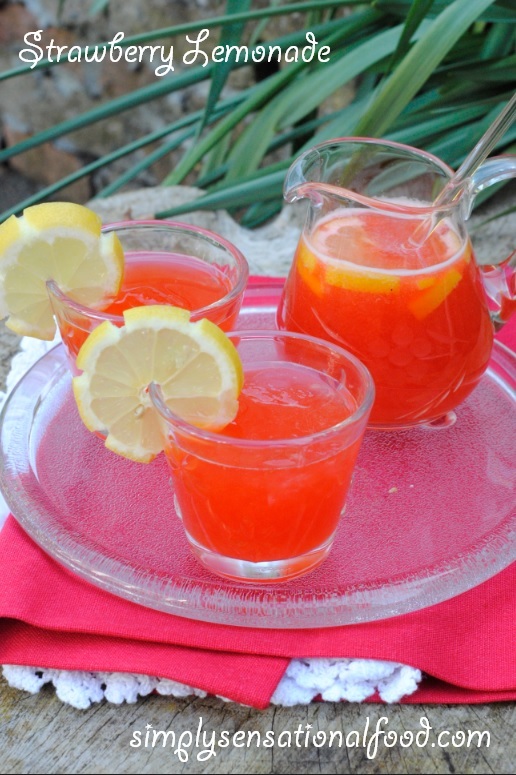 This looks so delicious and refreshing - have pinned for the summer! 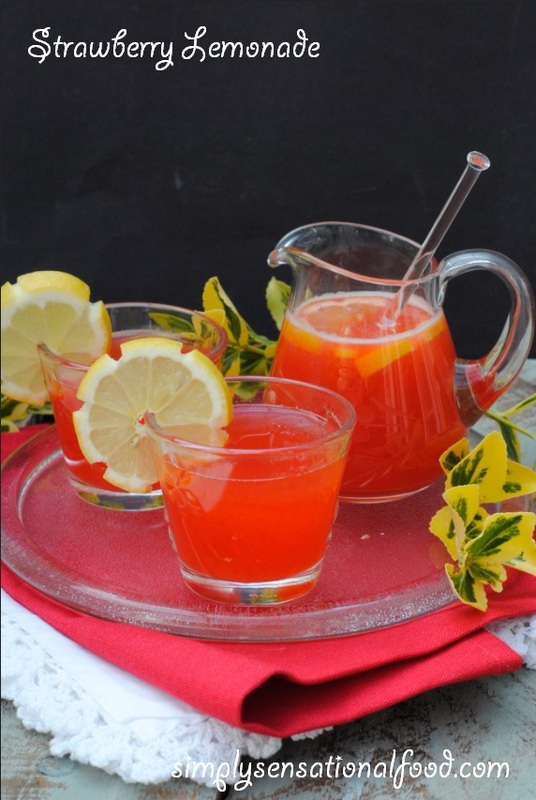 This sounds delicious, I love strawberry lemonade and this sounds quite simple to make. So refreshing! That looks absolutely delicious. Perfect for a family BBQ. This drink looks like the prefacer summer tipple. Stunning colour and imagine it tastes amazing! Yum, yum, yum! This is perfect for summer....really want a go at making this, it looks delicious! I've never heard of the strawberry version either but it looks great and I bet the kids would love it. There's only so many fruit shoot a mother can stand to buy!!! oh yum! I love lemonade but I haven't had Strawberry for ages. I think my kids would love it! Thanks for sharing! Strawberries seem to be in season already. Yum, that sounds incredible! Will have to make some with the kids this week. This looks perfect for picnic time! Yay for summer strawberries. Oh such a fabulous colour and a gorgeous fizzy summer drink minus any naughty alcohol! Your drinks always look so tempting Nayna. I love the colour of this and I bet it tastes delicious. I love lemonades and the freshness they bring with them . The best part about lemonades is that nobody can say no to them. Its always a win win. I like the classic lemonade but the idea of adding strawberry is sounding interesting. I will try this one for sure. Thank you for sharing.